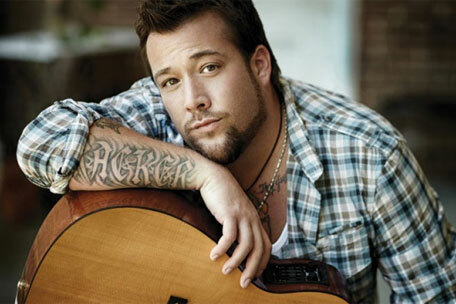 Matthew Shafer (perhaps better known as Uncle Kracker) is an American country-rock singer from Michigan. When his career first started his music was more rap based however he has since progressed into more country-rock music. Whilst I have been a fan of Uncle Kracker for a few years I have only really listened to the singles from his past few albums (songs such as Memphis Soul Song and Rescue) so I made a point of listening to the whole album with this release (his fifth album, entitled Midnight Special) and am happy I did. He merges upbeat feel good songs such as You Got That Thang alongside slower songs such as When I Close My Eyes throughout the album, keeping the interest high. My favourite song from the album is probably Happy. The melody has a rocky feel without being overbearing and the message behind the lyrics is a really sweet one about wishing the subject of the song will always be happy. Whilst I like the verses in my opinion it is definitely the chorus that makes this song stand out from the rest. I also really like Who We Are. It is one of the slower songs on the album and is really strong throughout. As with most of Uncle Kracker's songs it has a rocky feel to it but it is more balladic than songs such as Happy. Uncle Kracker shows his versatility in songs like this as fans of his are probably expecting songs similar to When The Sun Goes Down (he was featured on the Kenny Chesney track) and Drift Away. I always try and pick my least favourite song from any album but I honestly found that I couldn't chose one. All of the songs have different strengths and come together to form a very strong album. I haven't been able to see Uncle Kracker live but I hope he will tour over in the UK at some point! Unfortunately it may be a while because his last charting release in the UK was Follow Me in 2001. Midnight Special is definitely an album to check out in my opinion and would make a good addition to any music fan's collection.